Chikungunya disease is spreading through the Caribbean like wildfire. Nite_Owl via Flickr. Tropical diseases are just some of the multitude of problems that beset us the people of Latin America and the Caribbean. The hot and humid climate throughout the year is conducive to insects that carry parasites, bacteria or viruses. Diseases such as malaria, Chagas, leishmaniasis, schistosomiasis, onchocerciasis, dengue and many more are endemic to these latitudes. To add insult to injury, chikungunya virus has emerged with increasing strength in the Caribbean. Close to a quarter million cases of chikungunya have been reported in the Caribbean, according to the PAHO. It is only a matter of time before it becomes entrenched on the mainland. Chikungunya was first described in 1952 during an outbreak in Tanzania. The word “chikungunya” can be roughly translated as “doubled over in pain” from the Bantu language of the Makonde people, a reference to the stooped posture of those sickened who usually experience sharp pains in their joints. It is endemic in Africa, India and Southeast Asia. Chikungunya fever is caused by a virus that is transmitted to humans through the bite of a mosquito. It is an RNA virus, known as CHIKV, which belongs to the group of arboviruses–all of which are transmitted by insects. Other viruses in this group: dengue, yellow fever and West Nile virus. After a bite from an infected mosquito, the virus passes from the saliva of the insect into human skin where it replicates. It then spreads to the liver and joints through the blood. After an incubation period of up to four days, the clinical manifestation of the disease appears out of the blue: high fever, numbness, headache, photophobia, red spots on the skin and joint pain which is often debilitating and can last months or even years. The disease is usually not fatal but it does significant damage to the joints, leading to lifelong rheumatic pains in some cases. The classic vector of chikungunya virus is the Aedes aegypti mosquito which is very well known in the tropics because it also transmits dengue. In 2005, an impressive outbreak of this disease occurred on the island of Réunion (a French territory in the Indian Ocean) although the vector then was the Aedes albopictus mosquito or Asian tiger mosquito. A species jump had occurred, a new vector for chikungunya had appeared. It turns out the virus had mutated only very slightly to infect a new species of mosquito. There was only a small change in the sequence encoding a fusion protein (a viral coat protein which facilitates the adhesion to the cell to be infected). The protein in question is comprised of 435 amino acids but only one at the 226th position mutated (from an alanine to a valine). Although the isolates were still 99.97% identical, this minute change gave the virus a remarkable property: it was able to infect the salivary cells of a new species, the tiger mosquito. The tiger mosquito is on the list of the most dangerous invasive species in the world, due to its ability to transmit not only chikungunya but also dengue and yellow fever. The mosquito is native to Southeast Asia but it has been “exported” from there through trade and debris (usually in standing water in places like tires and ornamental plants). In the late eighties it came to America and since then hasn’t stopped dispersing throughout the continent. It has also nearly colonized the entire European coast of the Mediterranean since it was introduced in the 2000s. Indeed, there was an outbreak of chikungunya in Italy between July and September 2007 that affected more than 200 people. Chikungunya’s appearance on the island of Réunion resulted in the infection of 300,000 and the deaths of 237 in a population of 785,000. Outrageously, almost 50% of the population was infected. But interestingly, being a French territory, biological samples were readily available to scientists at the Pasteur Institute who were able to study the mutation that sparked that epidemic. Latin America is now preparing for the attack of chikungunya. It all started on December 6 2013, when it was confirmed that a citizen of San Martin Island in the Caribbean had contracted the disease. That was patient zero, the first indigenous case of disease in the Americas. And since then it has spread like wildfire. According to reports from the Pan American Health Organization (PAHO), chikungunya infected over 5,000 patients in the first three months, 60,000 in the first six months and as I write this post the number of infected in the Caribbean is more than 200,000. Many Latin American countries–including as far away as Paraguay and Chile–have already imported cases of chikungunya. 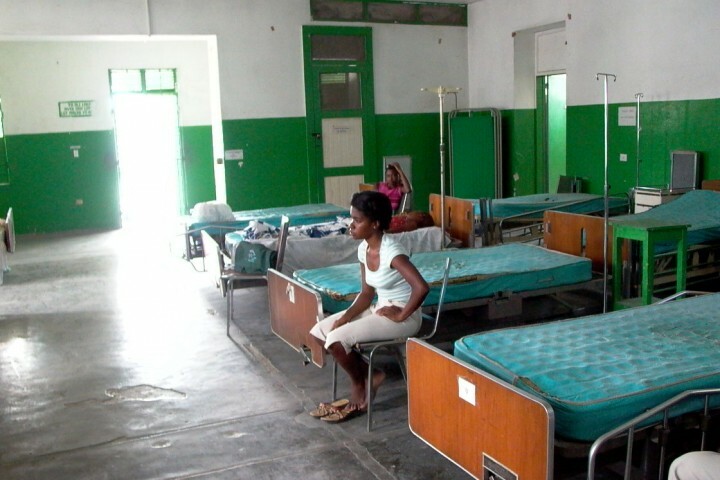 These are patients who contracted the disease in affected countries while traveling. The delicacy of these cases is that the blood of the infected is loaded with viruses. If a midge or mosquito feeds on that blood, the disease could spread. This minute mutation gave the virus a remarkable property, the ability to infect the salivary cells of a new mosquito species: the tiger mosquito. The only prevention for chikungunya is to fight the mosquitoes. Avoid standing water (pots, tires, gutters, etc.). Use insect repellent cream and sprays, and use bed nets for the sick. Of course, all spraying should be carried out by local health authorities. Climate change is largely responsible for the spread of insect vectors of disease. Mosquitoes can now colonize once cold latitudes. Here lies the concern. The U.S. government and the European Union are now equally susceptible to a chikungunya epidemic. In this regard, I recommend reading enjoyable and concise: “Emerging Viruses and global change.” Let’s spread the word to the world about the reality of global warming. This post was originally posted on Felix Moronta’s personal blog. Felix Moronta is a 31-year-old molecular biologist from Venezuela. He is currently a post-Doc at the Instituto Venezolano de Investigaciones Científicas in Caracas, Venezuela. – Albert Schwartz O & M (2010) Biology and pathogenesis of chikungunya virus. Nature Reviews, 8: 491-500. – Thiberville et al. (2013) Chikungunya fever: epidemiology, clynical syndrome, pathogenesis and therapy. Antiviral Research, 99: 345-370.